Our free Portfolio theme lets you showcase your work in seconds with a minimalist, easy-to-read layout. What’s more, thanks to Portfolio’s full compatibility with the premier translation plugin for WordPress, WPML, you can create a site that reaches across borders and let’s users in multiple languages see what you have to offer. With this tutorial, you’ll learn all you need to get your multilingual site up and running; check out what a complete multilingual site looks like on the public test site for Portfolio, here. To make your Portfolio-powered WordPress installation multilingual, you’re going to need access to the WPML plugin. There are several levels of WPML available for purchase, covering the needs of basic blogs to full-weight websites. It is recommended that you go with full Multilingual CMS support, as this will allow you to translate widgets, custom fields and other strings, such as the site title. You’ll need to install the main WPML package, along with the String Translation and Translation Management modules, which give you more complete control over your translation content. Attention: In order for WPML to work correctly with Portfolio, you should have a minimum of version 1.1.1 of Portfolio and version 3.1.8 of WPML installed; if you install versions earlier than this you may encounter bugs and issues that prevent full functionality of the plugin. First things first; make sure that Portfolio is installed and activated in your WordPress installation. If you haven’t done this yet, you can find an in-depth guide in our documentation, here. Next, you’ll need to install the main components of WPML; the main sitepress-multilingual-cms package and the additional wpml-string-translation and wpml-translation-management plugins. Once the packages are installed, you will be able to finish configuration of the plugin by navigating to WPML → Languages in the left-menu of your WordPress dashboard; here you will be able to specify the base language of your website as well as any additional languages you intend to support. Bear in mind that you can amend the supported languages later, so don’t worry if you forget to add all the ones you support. You may also enable the language switcher as a widget, but this is not recommended for Portfolio; instead, set the language switcher to appear in the Main Menu. For more in-depth information on the setup process and options, check out the WPML Getting Started Guide. There are three main areas of the theme that should be translated; the site title and tagline, the menus, and of course your posts. For more information on content translation, read through the Full Guide available on the WPML website. Simply click on the Translate button to create a new blank translation of the post. 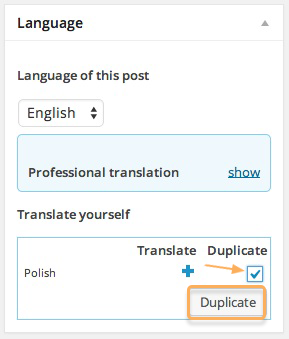 Alternatively, you may tick the Duplicate tickbox and then click the Duplicate button that appears to copy all content, including images, to the translation version of the post for easy reference. The same process applies to pages; simply select your page to translate from your page list (Pages → All Pages in the left-menu). You may offer multiple versions of your menus, with custom translations for each language. To do so, you will need to create a new menu by clicking on Appearance → Menus in your WordPress backend. To translate the blog title and tagline, you will need to access the String Translation options included with WPML. 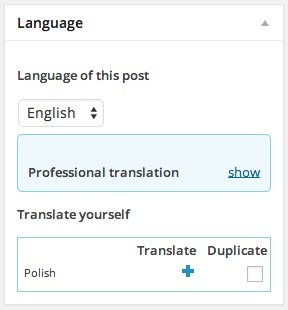 In your WordPress backend, click on WPML → String Translation to go to the appropriate section. For each element, click on the Translations text in the right column; a box will open where you may set your translations of these strings per language. 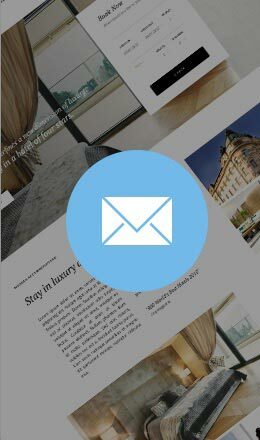 There are no widgets used in the demo layout of Portfolio, but if you want to add any new widget and translate it, all informations are available on the WPML Website. Translation Management is a powerful feature in WPML that allows site admins to monitor, assign and manage translations on their site, as well as add translations without affecting the base WordPress post editor. More details on this useful feature may be found here. You may wish for the URLs of your translated content to display unique data separate from the original language’s page slug. WPML offer a tutorial on this feature here. Some themes or plugins have their own content strings that are output to the front or backend. In these cases, WPML can scan for strings from the theme or plugin so that you may offer translations if necessary. More details on performing this action may be found here. We hope that this guide has proven useful in getting your translations started, and if you should require further information regarding WPML or its add-ons, make sure to stop by the WPML website, where a wealth of information is available.